Whether cutting, drilling or demolishing concrete, we understand what it takes to get the job right, the first time. We can cut to any depth of concrete slab, wall, asphalt & curb, or wire. CCC Drilling is a highly experienced drilling company both in management and field operations providing geotechnical and environmental drilling services in Ontario. Ensuring the most efficient and safest choice for concrete mapping, imaging and utility detection. Is there hydro, conduit, telecommunication in the ground or wall? We need to know what’s behind before we cut a hole into it. Experience the difference that Robotics can make on your job site. 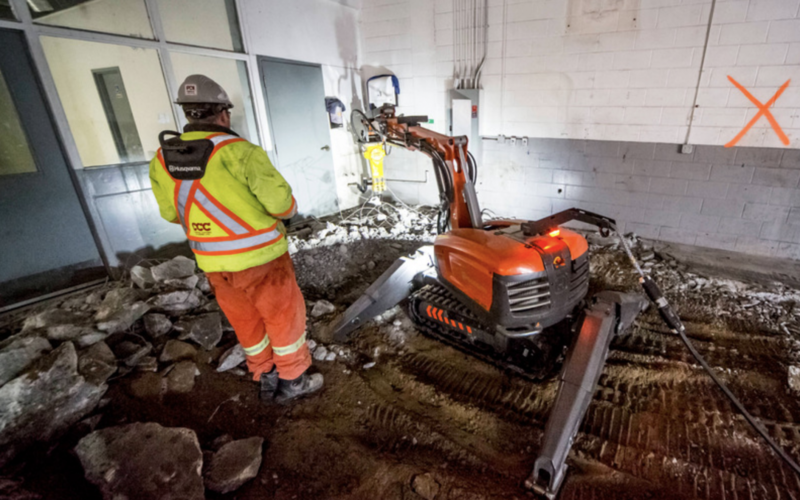 Our fleet of Robotic equipment allows us to drill, crush, break and remove concrete in a productive manner, while ensuring zero emissions, reduced noise pollution, and optimized value for money.